Fashionable modern bath accessories. A great way to add color to any bathroom decor. 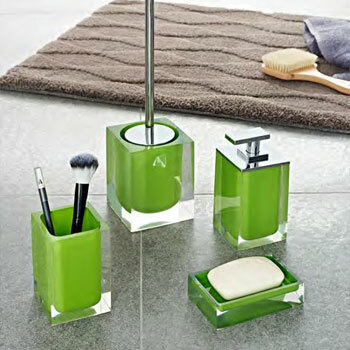 These accessories are made of durable acrylic. Available in white, blue, black and orange. Beautiful colourful container wrapped with clear transparent outside. Made by Ridder in Germany.Ridder is a family-owned company established in 1946. They offer a high quality standard, and a 3 year quality guarantee.